This cozy dish is flavorful, rich, thick, creamy, and full of seasonal vegetables. Heat a large pot or Dutch oven to medium-high heat and add in the olive oil. Add in the garlic, potatoes, celery, carrots, onion, mushrooms, dill, parsley, thyme, salt, and pepper, and cook, stirring often, for about 15 minutes until softened. 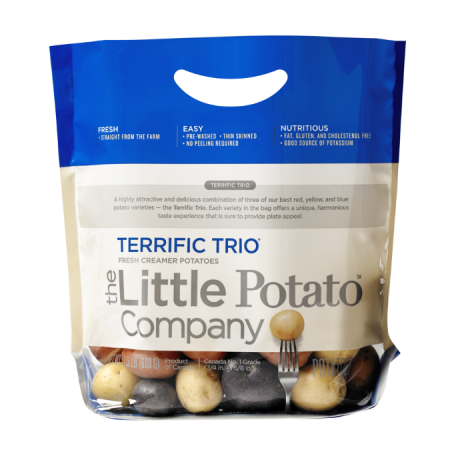 Lower the heat to medium and scoop two cups of the potato vegetable mixture out using a measuring cup and add to a blender. Add the chicken broth to the blender with the potato vegetable mixture and blend on high until smooth. While blending, slowly add in the gluten-free flour through the top opening. Pour the blended potato vegetable mixture back into the pot with the rest of the vegetables. Add in the chopped rotisserie chicken and stir to combine. Simmer for 10 minutes then season with more salt and pepper if desired. 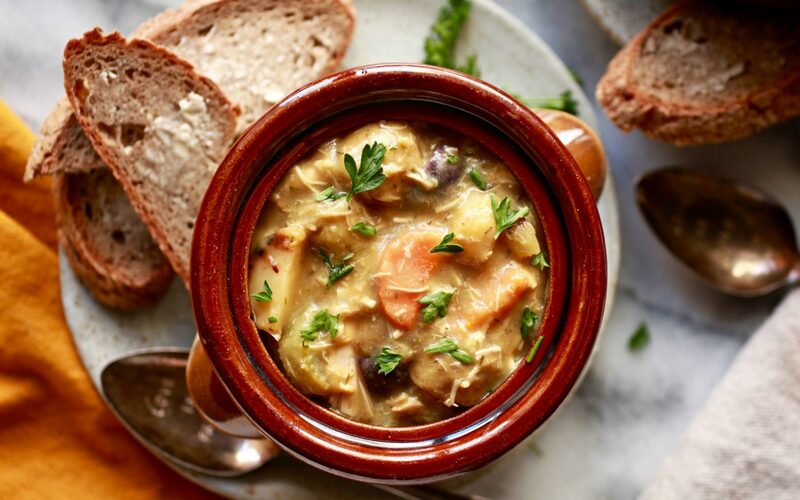 Divide stew between four bowls and serve hot with a side of gluten-free bread (optional).